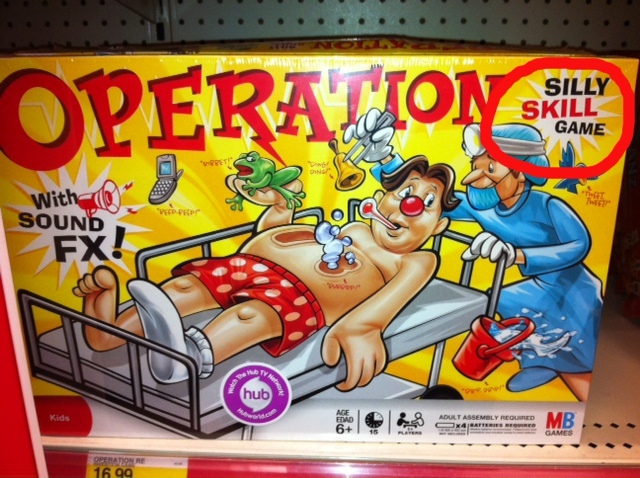 So I get that Operation is a silly skill game. Of course it is! 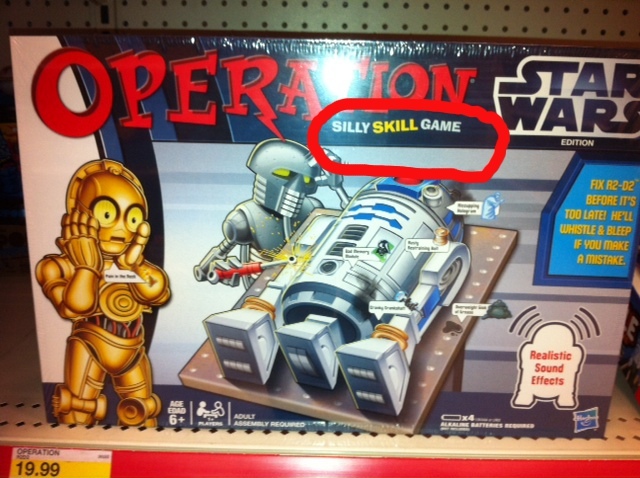 And I get that Star Wars Operation is also a silly skill game. Duh! 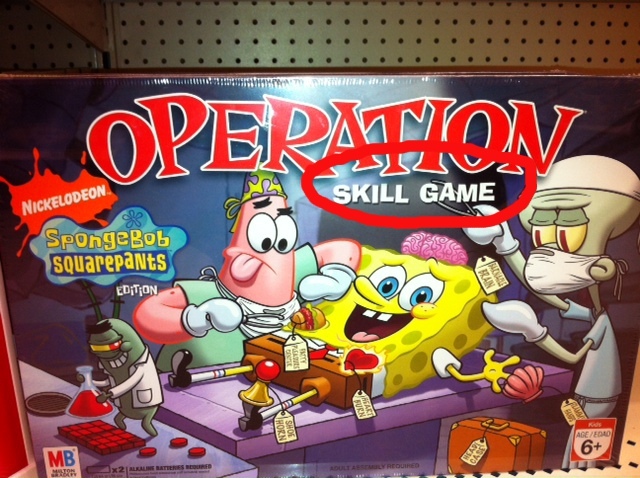 Here’s my issue, how is SpongeBob Operation just a flat out skill game?!? What world do we live in where SpongeBob is the least silly of all?